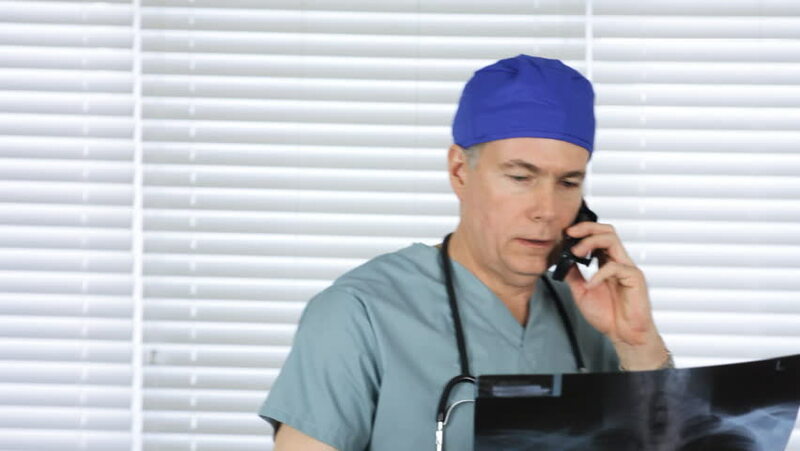 A surgeon in his office discussing x-ray results via his cell phone. hd00:13A surgeon looks at the x-rays then smiles and says all is ok.
4k00:07Close up of a face of a smiling male doctor with stethoscope on a white background. Portrait of a confident surgeon. Conception of medical clinic. hd00:16A pleased businessman sittingin his office working at his computer. hd00:14architect looking at building plans, then rolling them up and smiling at the camera. hd00:14A doctor or surgeon working at his computer late at night. hd00:19A man who is experiencing severe pain in his knee.